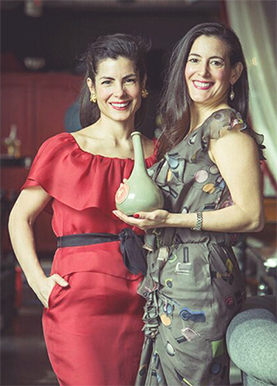 MACCHU PISCO WAS FOUNDED IN 2006 BY MELANIE ASHER and her sister lizzie. together the two have crafted an entirely new experience for discerning drinkers when they introduced this sublime spirit of peru to the united states, europe and beyond. 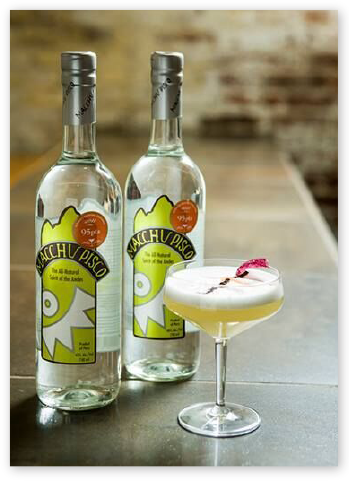 while the sisters certainly cast a reverent eye toward tradition, macchu pisco is singular in its modern purity and complexity and has been regarded as nothing less than revelatory by mixologists and the press and can be found at the finest RESTAURANTS AND RETAILERS AROUND THE WORLD. 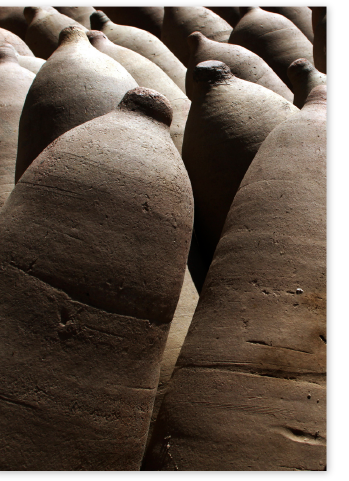 Macchu Pisco is our premium line made 100% from the Quebranta grape. It is produced all naturally so we innately claim “All the Highs without the Lows.” Characterized by herbal, grassy and earthy notes, it rests for 1 year before being bottled at estate. rated 94 points at the ultimate spirits challenge. La Diablada is our super-premium Pisco representing the “acholado” style. It is a handcrafted blend from the finest selection of Quebranta, Moscatel, Italia and Torontel grapes. 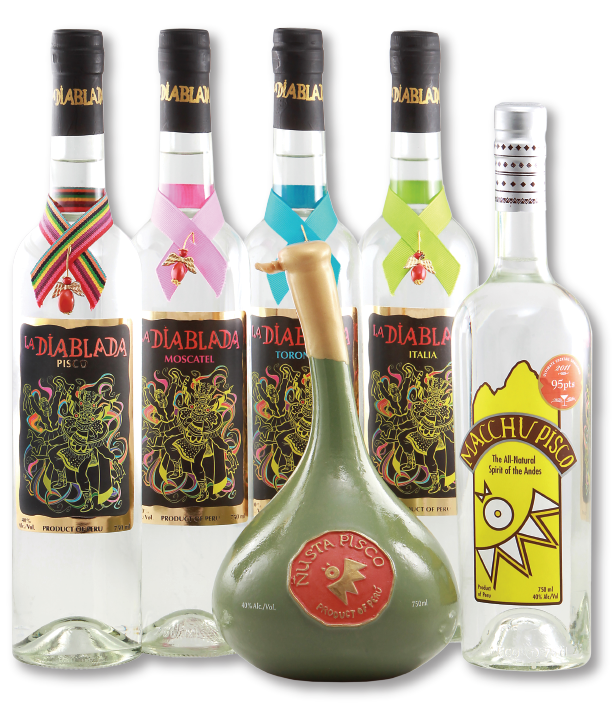 La Diablada is named after an Andean spiritual dance reenacting a legendary fight between angels and demons. 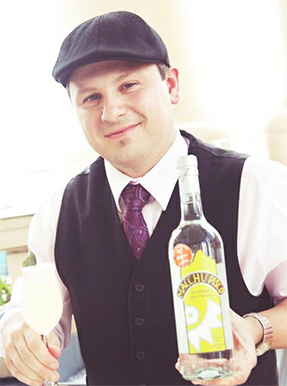 Ñusta is our prized luxuy Pisco, the result of an extraordinary 30 pounds of the finest Italia grapes hand-selected. 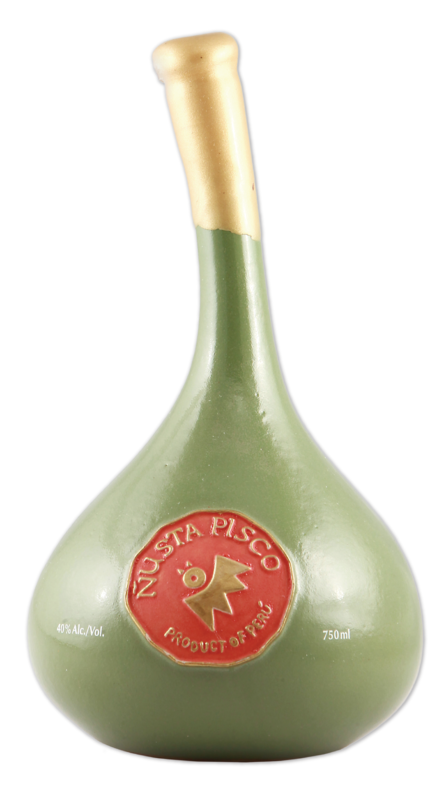 This mosto verde Pisco’s delectable taste and aromas reminiscent of orange blossoms and fresh lemongrass are captured in hand-crafted ceramic bottle designed to allude to huacos, the elegant casks of Incan royalty. 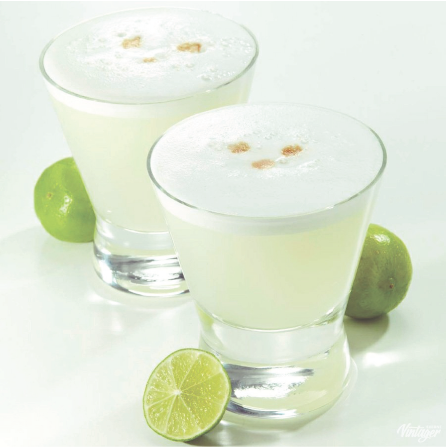 Peru’s signature drink, the famous Pisco Sour has a taste quite unlike any other. It’s a curious mix of sharp tang and sweet, and its texture changes from cloudlike foam to icy cold in the time it takes for the liquid to break through its wall of raw egg white. 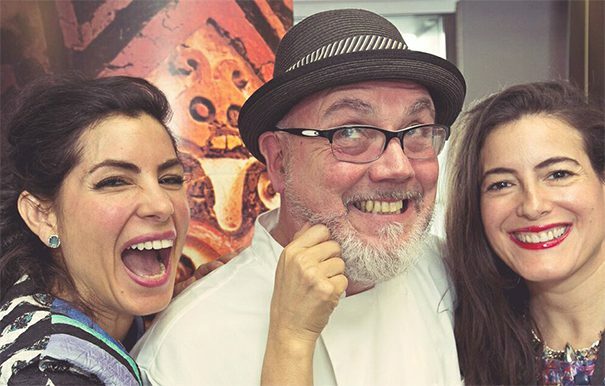 It’s as Peruvian as llamas, Machu Picchu, and ceviche - and it’s delicious! In cocktail shaker filled with ice, combine egg white, Pisco, simple syrup, and lemon juice. 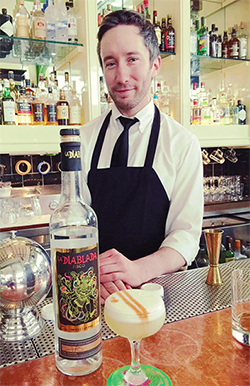 Cover, shake vigorously for 15 seconds, and strain into six-ounce cocktail glass. Top with a few drops of bitters. 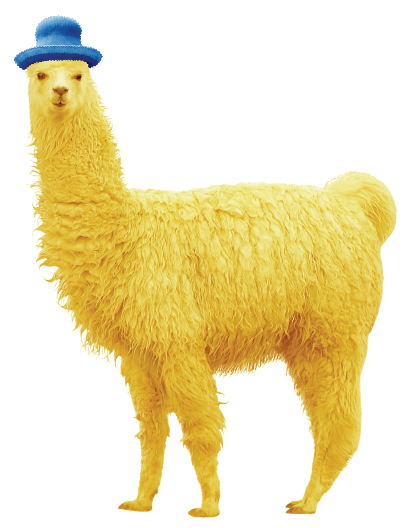 do you want to get macchu high? 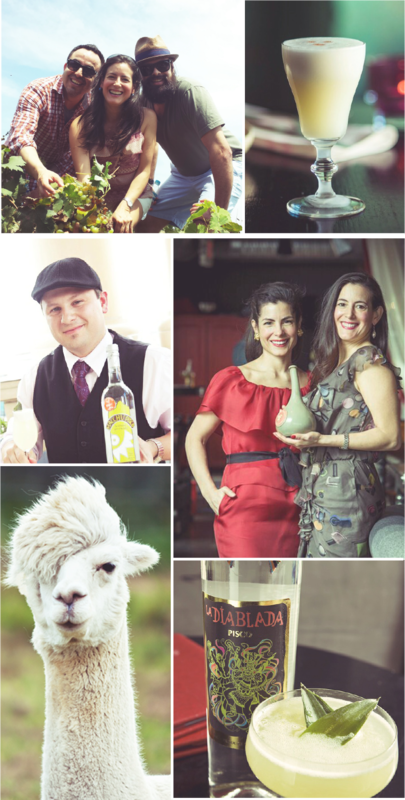 come take the ride with us as we set out to spread the word across the world - that macchu pisco is here to stay. 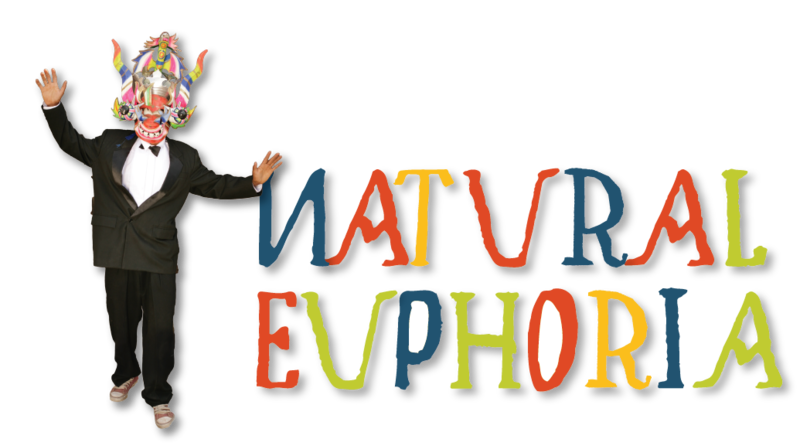 we always have news to share and share we will, so come join our tribe and let’s take this journey together! can’t find us locally? that’s a shame and something we’re already on a mission to resolve. 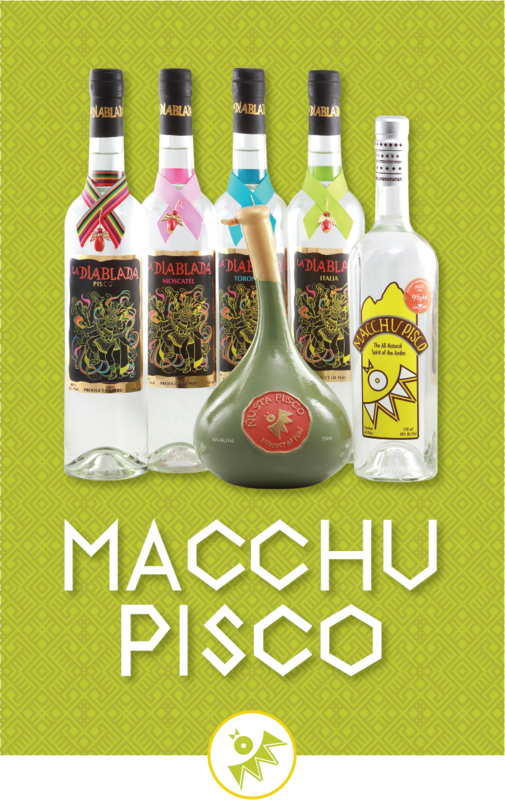 macchu pisco is currently available for purchase online, where permitted, by drinkupny.com. 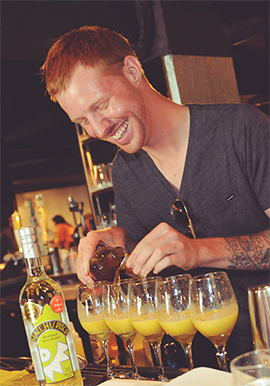 so, dare to drink different and come experience the macchu high! 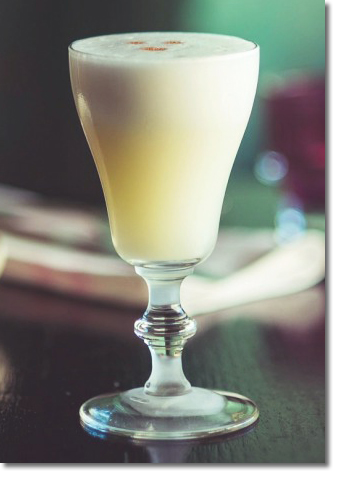 Macchu Pisco is first and foremost, a labor of love built around family. Nearly 100 years ago, Amelia Rodriguez, pictured here, was born. 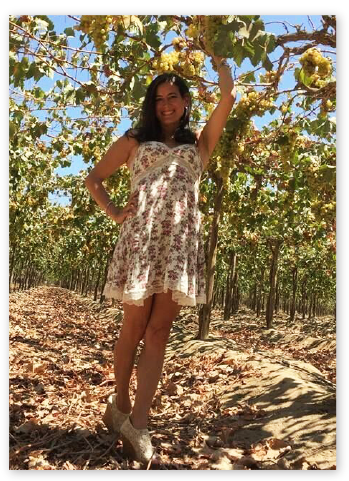 Growing up she helped her mother sell Pisco at their local bodega in Lima, Peru. 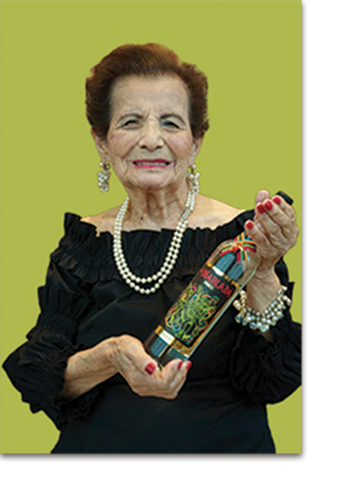 nearly a century later, her two granddaughters Melanie and Lizzie created arguably one of the world's best Pisco brands in her honor. To this day, abuela Amelia still tastes each vintage before bottling, and we wouldn't have it any other way. 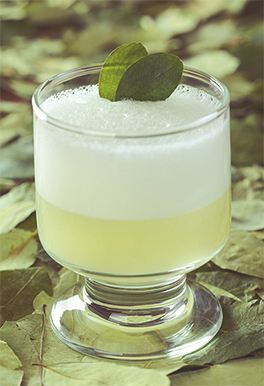 Pisco is the national spirit of Peru and the pride of the Peruvians. Its story harkens back to the 1500's during Spanish colonization of Peru. 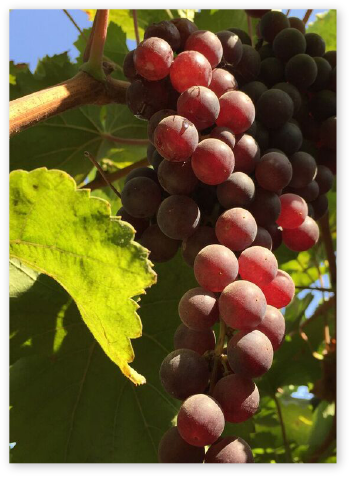 The Europeans brought with them grape vines for their own consumption and wine production. Peru's wine industry flourished and became so competitive that the King of Spain, Felipe II banned all imports. Jesuit priest saved the day when they brought distilling techniques to Peru, thus transforming the wine into what we now know as Pisco. 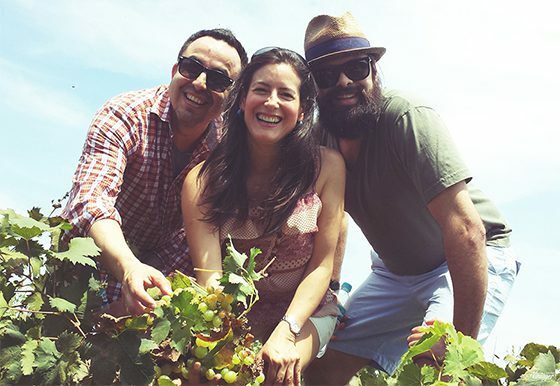 The grapes are the key to understanding why Pisco is such a special spirit - and the quality is preserved with a strict denomination of origin from which the grapes can be sourced, not unlike the AOC rules of France. 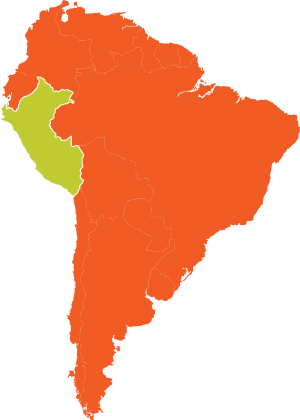 These regions are Lima, Ica, Arequipa, Moquegua and Tacna. There are 8 grape varieties, each with its own individual expression that run the gamut from herbal to floral to citrus - Pisco is truly a "terroir" spirit, a clear expression of regional Peru's unique soil and environments. 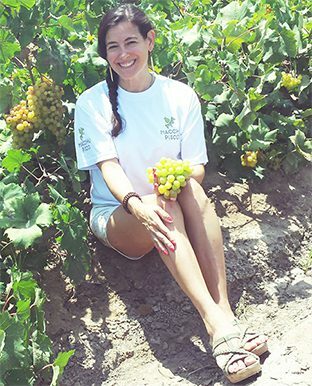 A graduate of Harvard Business School, Melanie set her sights on Pisco with the aim to create the world's greatest expression of the spirit, and a dream to give back to one's country. And while that may sound lofty, Melanie is nothing if not down to earth - fond of telling you quite simply that "while all alcohols have their own buzz, Pisco just makes you happy". year fter year, Melanie has sought to refine and improve upon the brand - introducing single varietal bottlings and the ultra-luxurious Nusta into the Macchu Pisco family. 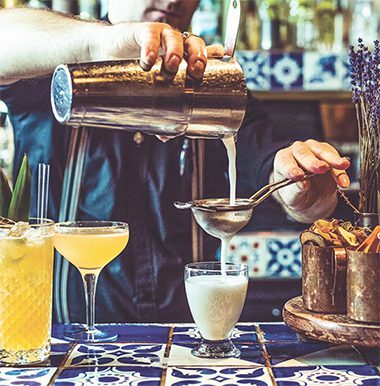 While the Pisco Sour is certainly synonymous (and delicious) with Pisco, our spirit lends itself to experimentation, innovations and above all, celebration. 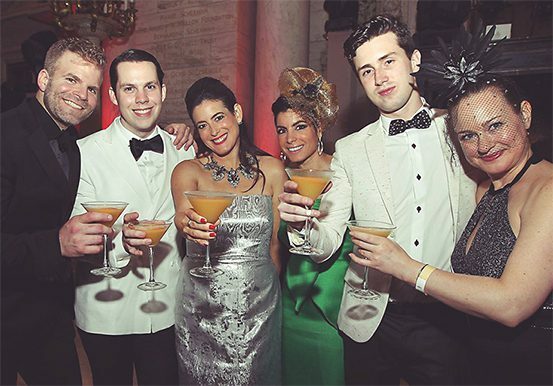 This is a drink best served company of fun loving friends and family with eye toward adventure. 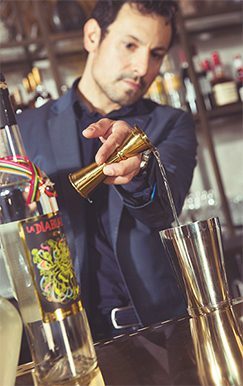 In just the past few years alone, Pisco has become a must-have on any cocktail menu worth mentioning - whether as a classic or modern invention. 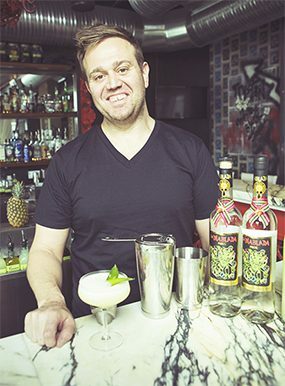 Acclaimed restaurateurs Nobu Matsuhisa, Daniel Humm, Eric Ripert and Daniel Boulud have all embraced Macchu Pisco and La Diablada as core spirits on their menus. There are several theories about where the name Pisco comes from, but its origins are undeniably Peruvian. Some historians say it got its name by the port from which it was shipped. Pisco means bird in Quechua, the language of the Incas. 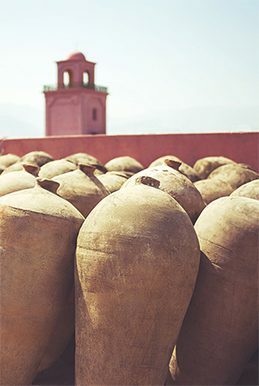 Old settlers stored alcoholic drinks in containers called Piskos, which were later also used by Spaniards. Over time, the spirit adopted the name of the container. 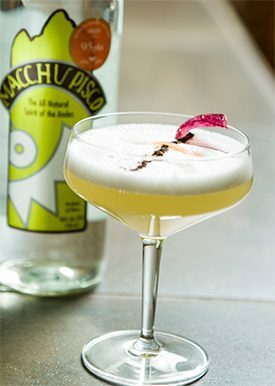 Macchu Pisco has quickly ascended to become a must-have on cocktail menus across the globe - whether in classics or modern inventions or molecular mixology. 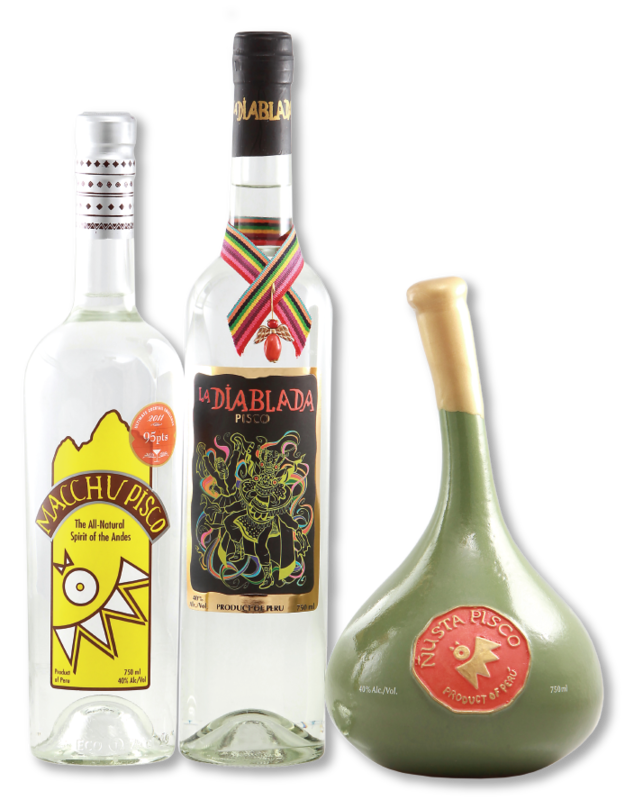 Acclaimed restaurateurs like Nobu Matsuhisa, Jose Andres, Daniel Humm and Eric Ripert have embraced Macchu Pisco and La Diablada. 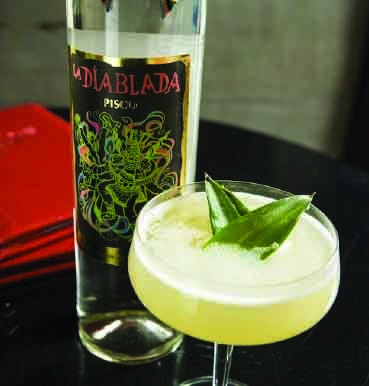 Daniel Boulud, no less, even included La Diablada in “His and Her” cocktail book. 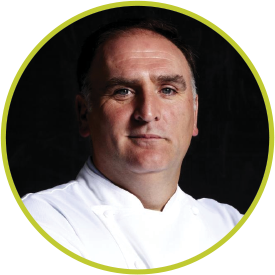 We’re proud to keep such esteemed company. girl power! 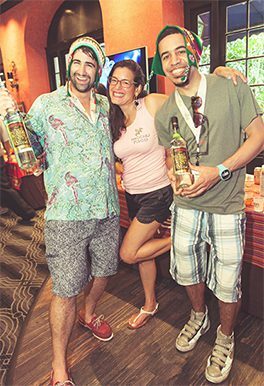 if you’ve got what it takes to be a pisco girl - a free spirit, adventurous streak and mischievous side, then we want you in the macchu squad. 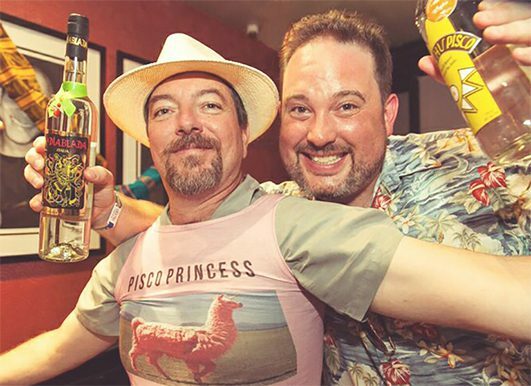 instagram your best pisco girl photo with the hashtag #nollamadrama for a chance to win some sweet macchu pisco swag! AIN’T NO PARTY LIKE A PISCO PARTY, AND A PISCO PARTY DON’T STOP. WHEREVER YOU FIND YOURSELF IN THE WORLD, MAKE TIME TO CELEBRATE THE GOOD LIFE WITH MACCHU PISCO. WE’RE CONSTANTLY ROAMING THE GLOBE IN SEARCH OF ADVENTURE AND DISPENSING THE ANDEAN HIGH WHEREVER WE CAN. PLEASE SEE OUR CALENDAR AND COME JOIN THE FUN.